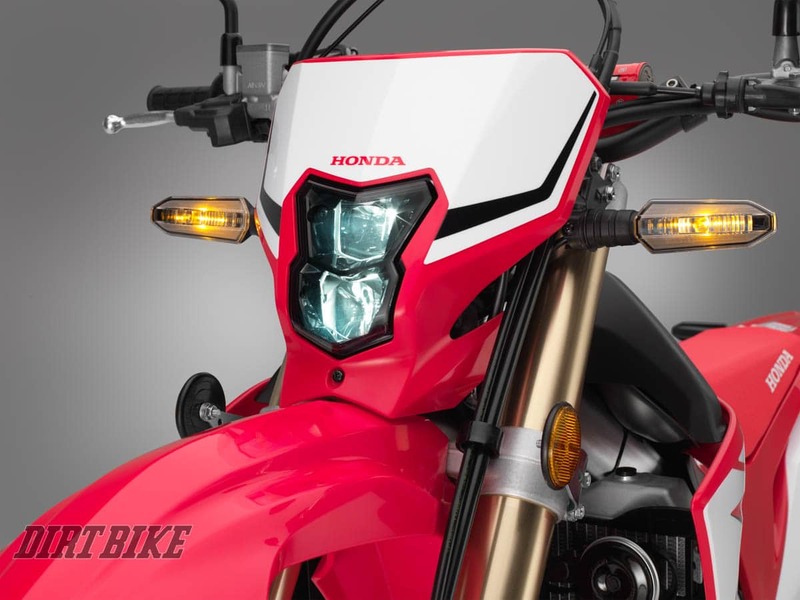 Honda just announced that it will produce a serious 450cc dual-sport bike for 2019. 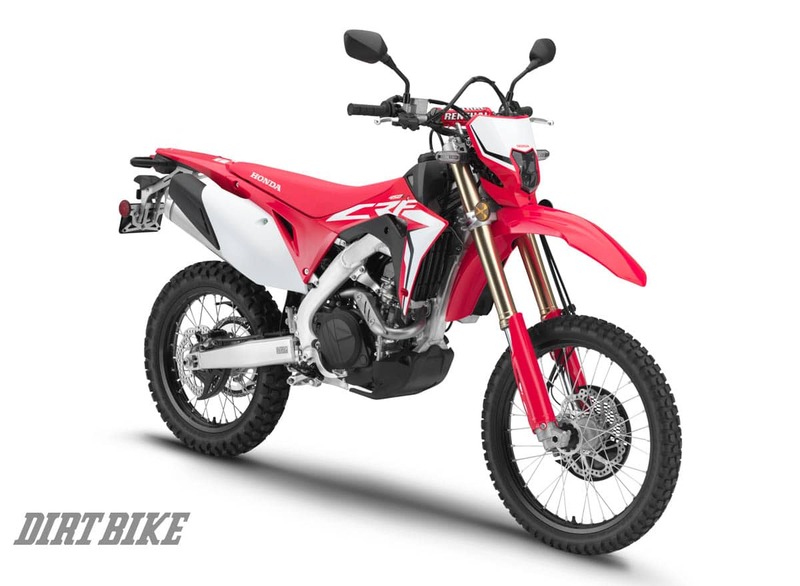 The CRF450L is said to be a hard-core off-road bike in the same vein as the KTM EXC line. The official Honda release appears below. 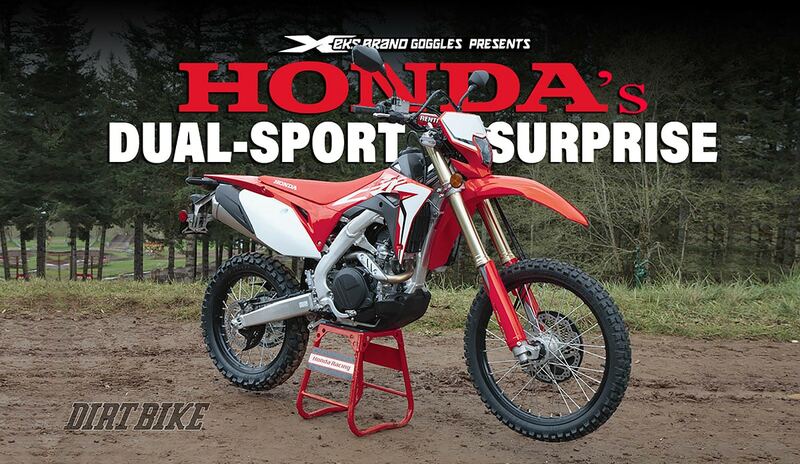 A new Honda dual-sport bike has finally arrived, and it’s based on the CRF450R motocross bike–titanium tank and all. 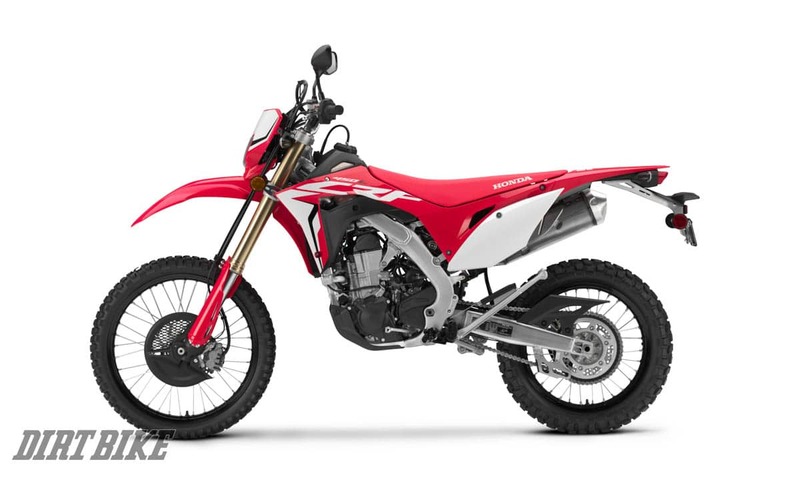 The 2019 Honda CRF450L is clearly at shot across KTM’s bow. 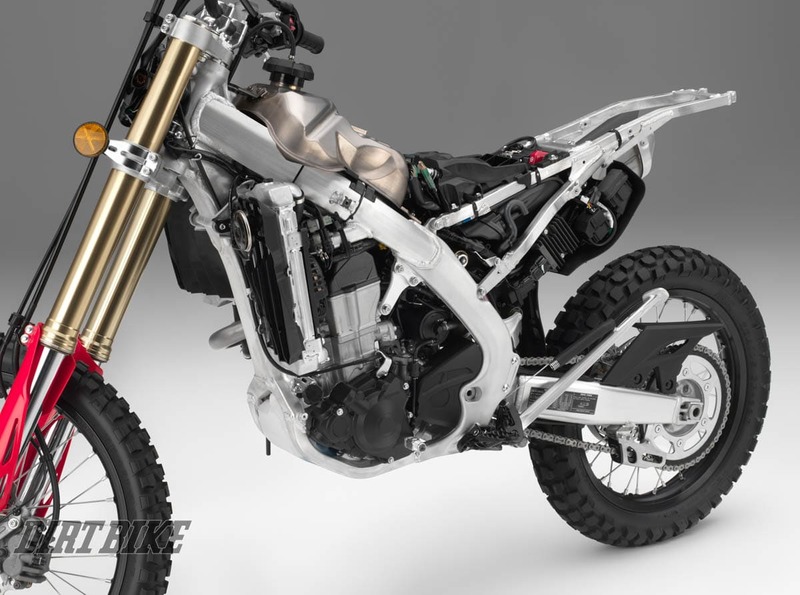 The CRF450L’s motor has a Unicam valve train and a downdraft intake like the 450R. 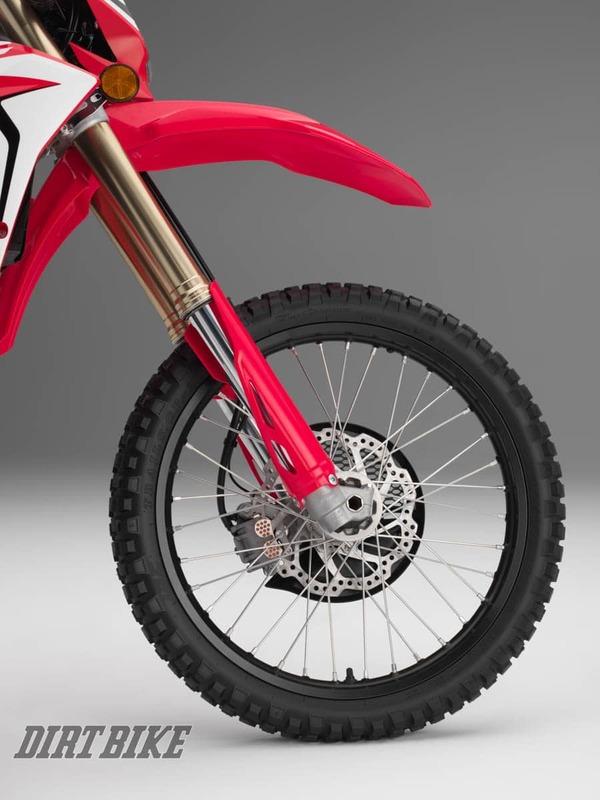 A Showa coil-spring fork handles the front suspension of the 2019 Honda CRF450L. The Honda CRF450L is street legal in all 50 states.